Searchlight Creative is marketing. We focus on the web and social networks, but we can do it all. Print, web, social, advertising, coaching. You name it, we've got it. 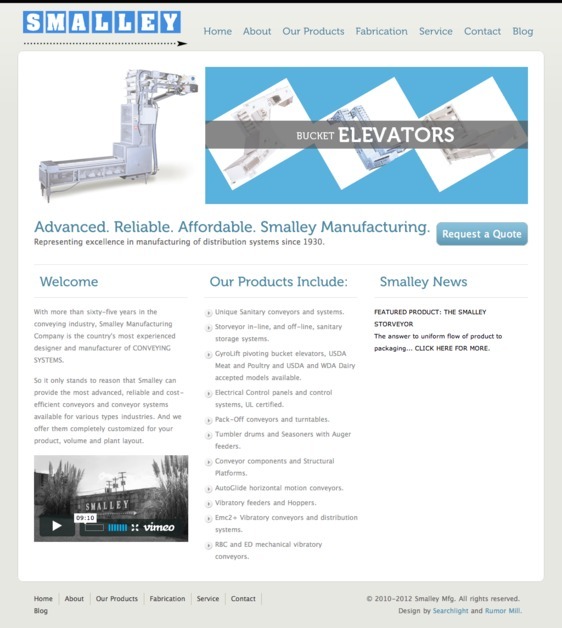 This is our recent redesign for local manufacturing company Smalley. They make precision food conveying and processing equipment, so we made a precision website that showcased their engineering talent.